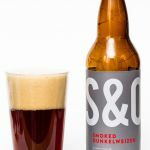 Steel & Oak Brewing has made a name for themselves with smoked ales and in the procession of Rauch-inspired beers comes their Smoked Dunkelweizen. 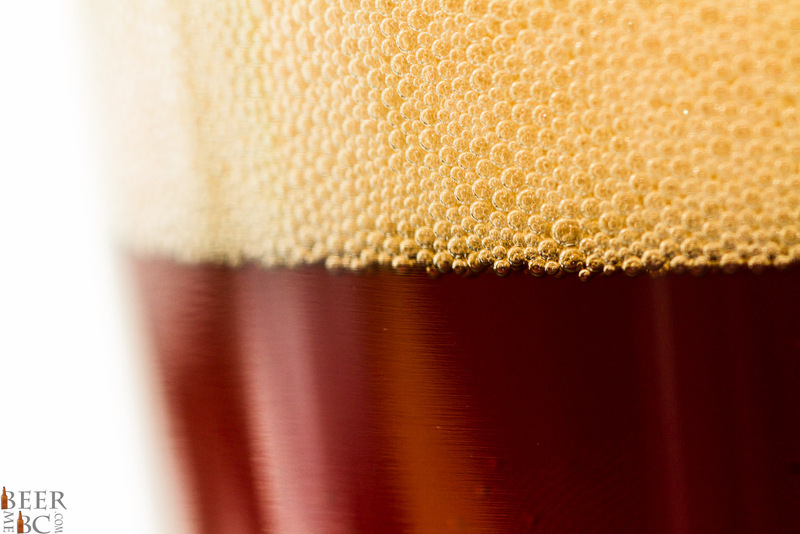 This German, dark wheat ale emerges from the bomber bottle as a dark, chestnut brown colour with a slight haze. 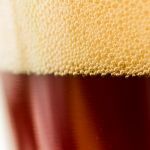 Topped with three-plus fingers of lightly lacing head the beer gives off a strong aroma of smoke, banana, clove and wheat. The banana, clove and smoke flavours work surprisingly well together giving a rather intoxicating scent. 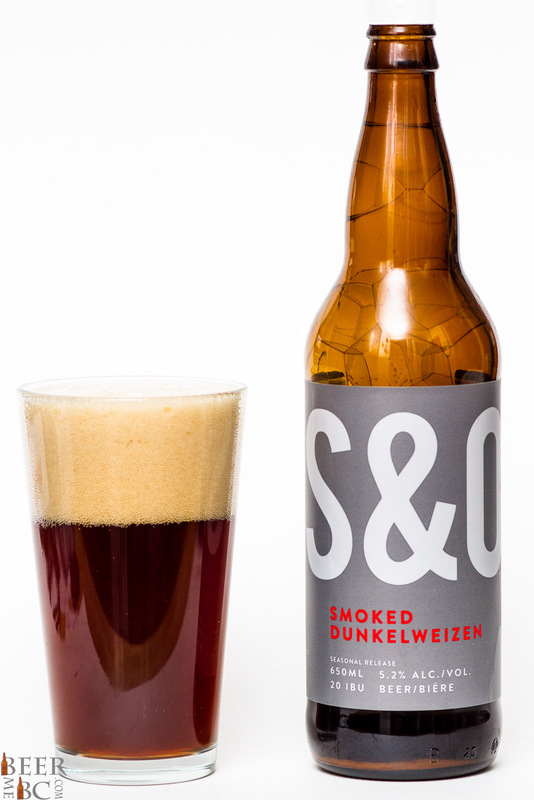 Tasting the beer a strong carbonation hits the tongue leading into the clove and banana wheat flavours. 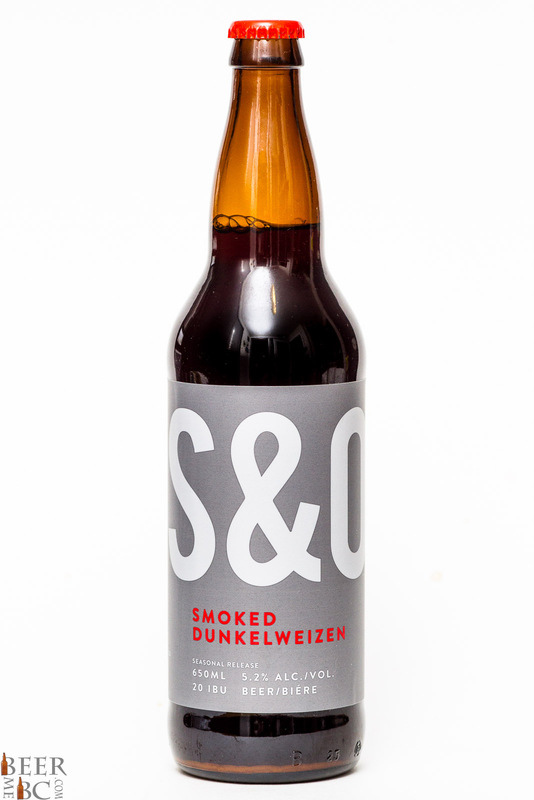 The dark wheat tones settle as smoke emerges from the background leaving the palate with a dry-smoke finish. 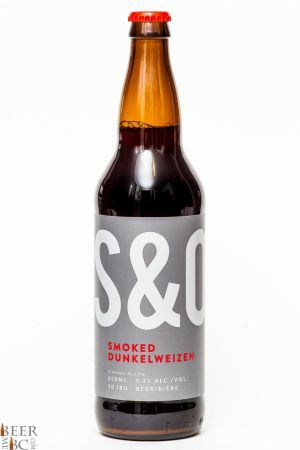 The initial flavour is close to that of a traditional Dunkelweizen but quickly builds into a smokey finish.